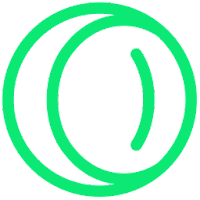 Opera Neon is a unique concept browser for Windows & Mac OS, designed to allow you to focus on the most important part of the internet - the content. Opera Neon reflect Opera’s vision for the future of desktop browsers and is based on the Chromium open source project and many other open source software --- the final result makes surfing the web both easy and beautiful. The Opera browser features have been rebooted, with a fun, fresh take on Speed Dial, visual tabs and the omnibox, which float in to kickstart your browsing session. Opera new browser wipes away your desktop clutter by bringing your computer’s wallpaper into the browser. Opera Neon’s newly developed physics engine is set to breathe life back into the internet. Tabs and other objects respond to you like real objects; they have weight and move in a natural way when dragged, pushed, or even popped. This desktop browser is more than just a window to the internet – with the new Neon edition of Opera, you are in control of everything you see. Disclaimer: Direct downloads for the lastest version of Opera Neon 1.0.2531.0 are provided by the official software's author, we can't guarantee safety, availability or download speed. Moreover, we don't and we won't provide any pirated/illegal versions or tools. We recommend you to avoid it as these methods can harm your device. If you like the software, buy it to support the developers. (We provide software discounts for many worldwide brands).